With such stunning landscapes within easy reach from Bristol, why not make the most of what’s on offer by exploring the Welsh Mountains, soaking up the rich history, meeting new people and taking on a challenge for Temwa? 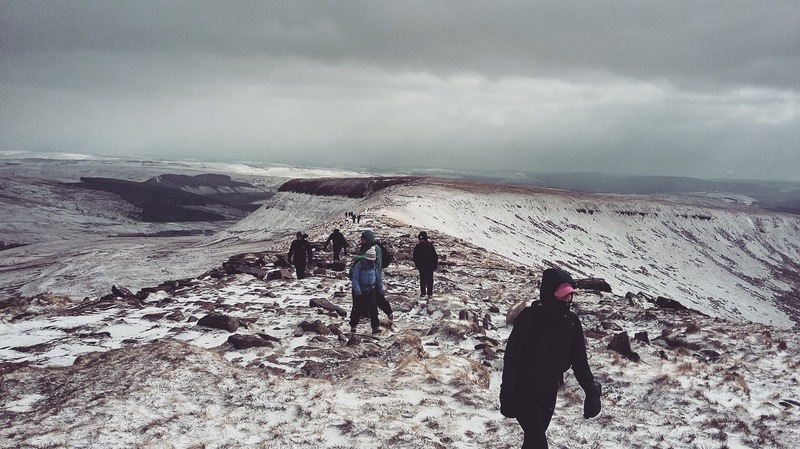 Join us for a full day’s hike through the Black Mountains on the eastern side of the Brecon Beacons. This all day circular walk takes us on a route that includes an iron age fort, the Revenge Stone, a lunch stop in the beautiful ruins of Llanthony Abbey and a climb (it is a challenge after all!) up the monk’s beer track onto Offas Dyke, the old border between England and Wales. Weather permitting the views are spectacular and there are many historical points to consider along the way! With incredibly experienced trek guides from Treads and Trails (who looked after us so well in last year’s snowy, windy Brec Trek!) leading the way, you’ll be in safe hands and discover more about the Welsh landscape. On signing up you’ll receive a full itinerary and tips on what to wear, what to pack and how to prepare! Fundraise via Virgin Money Giving– it’s simple, free, and we get every penny of your sponsorship money! Once registered, we’ll be in touch with fundraising tips and advice on how to meet – and beat! – your sponsorship target. You’ll receive one-to-one support from our fundraising team who are always happy to provide resources and answer any questions you may have in the lead up to, during and after the challenge. Follow us on Facebook, Twitter, or Instagram then share what you’ve been up to: from that first training trek to making it to the finishing point, we want to support you every step of the way!